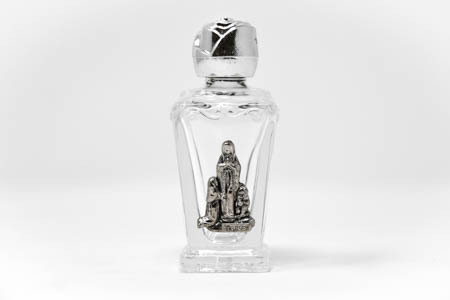 CATHOLIC GIFT SHOP LTD - Lourdes Water in a Rose Top Bottle. Lourdes Water in a Rose Top Bottle. Lourdes water in rose top bottle. This bottle measures 6.5 cm tall (2.5 inches). You can be assured this genuine Lourdes Water is taken from the grotto.